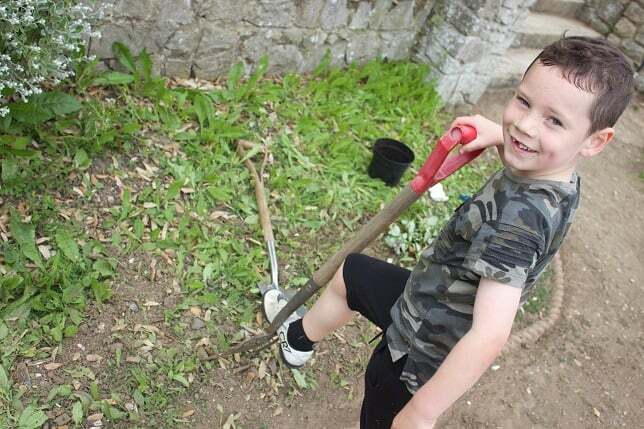 A bid to create a haven in Westbrook for the rare Shrill Carder bumble bee has also led to the creation of a group determined to rescue the Sunken Gardens on Royal Esplanade. The site was built in 1931 and completed in 1932. The garden is linked to the Royal Esplanade by a double staircase and has been altered since its original installation. 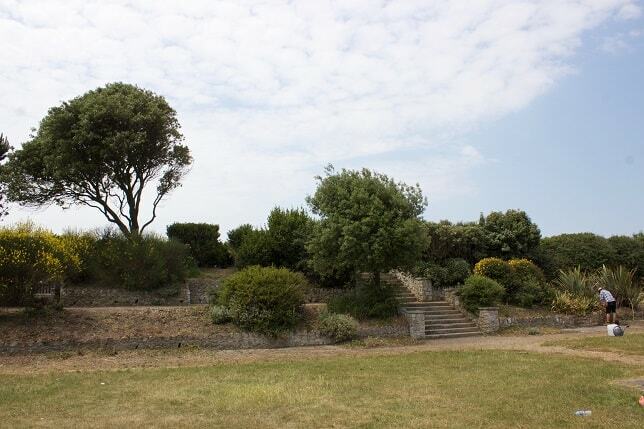 Access from the Royal Esplanade is down a double sloped rampart to the upper terrace and then by wide steps to the lower lawns and the formal sunken grass ‘pools’. The gardens have suffered vandalism to the stonework and become generally unkempt. 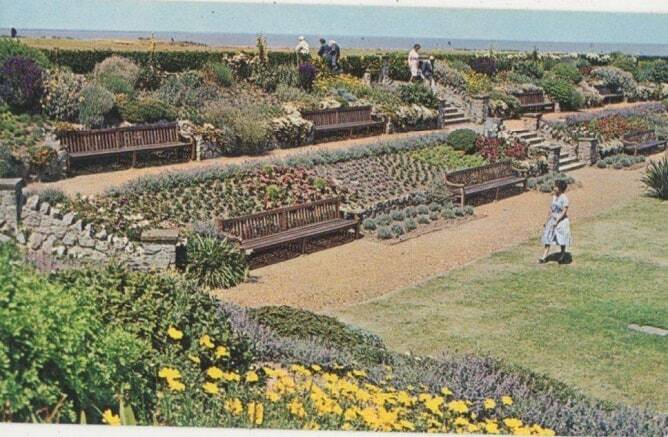 Thanet council stopped carrying out maintenance at the gardens in 1995. 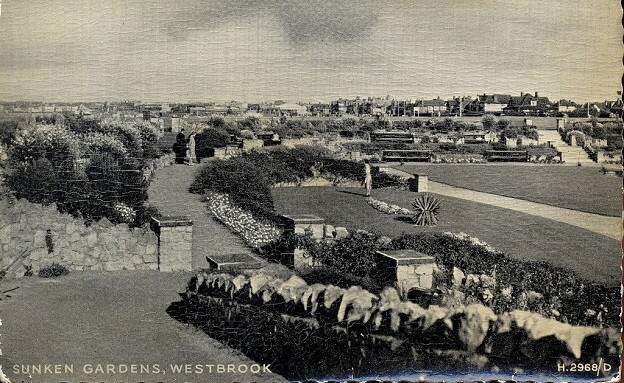 But now the Sunken Garden Society (SGS) volunteers have a mission to raise funds and carry out work to revive the site. Plans include restoring the path network to allow access for wheelchair users, extensive shrub restoration, new plants and the recommissioning of the the water hydrants and restoration of the stonework. The group also wants to increase general maintenance, such as grass cutting, which has been reduced to 10 cuts a year by Thanet council. 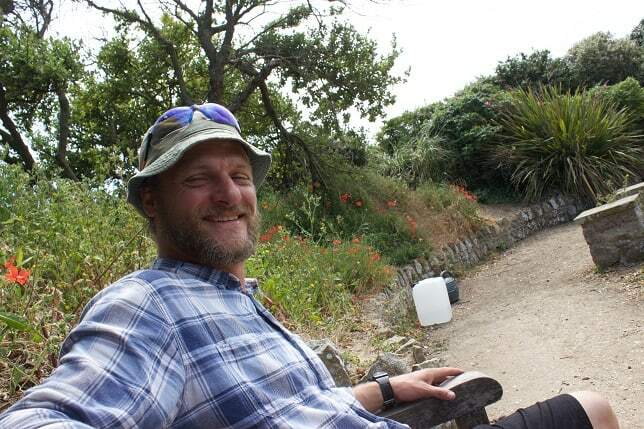 The revival group is headed up by coastal warden Pete Hasted (pictured below). He said: “It started when I signed up as a volunteer with NEKMPA Coastal Wardens (North East Kent Marine Protected Area). “I became a coastal warden for the Westbrook undercliff in January 2016. In Autumn of 2017 we were notified that the Bumble Bee Conservation Trust (BBCT) would be taking over the management of the ‘village green’ below the cliff as a flagship site for the Shrill Carder bee, one of the UK’s rarest bumble bees. “BBCT set up a task day to plant some hedging on the green and so, during the beast from the east, 15 volunteers braved the colds winds to plant some native hedging suitable for the bees to forage on. 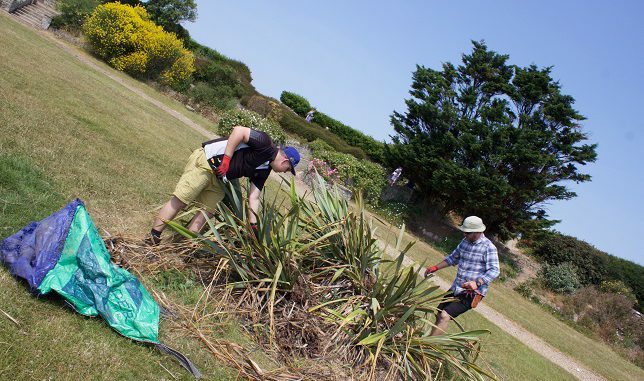 “It was during this activity that I asked to see the landscape management plan and found that it said BBCT would consult with the friends of the sunken gardens to help with planting up the area with nectar rich plants suitable for bumble bees. After surveying the area Pete said the plan was to restore it to its original state but this would have meant removing all the shrubs and trees for expensive seasonal bedding. 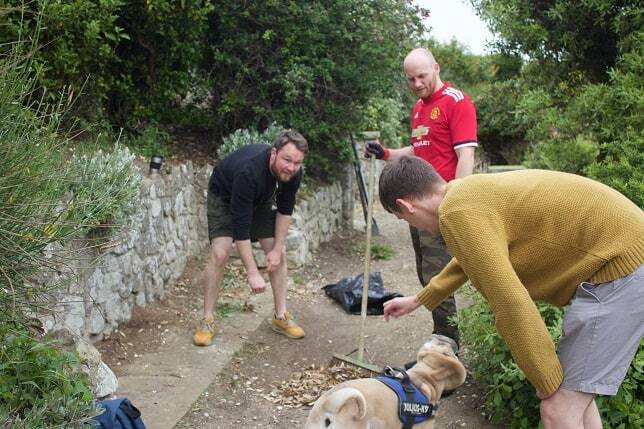 Instead Pete and the group decided a ‘revival’ of the gardens would be the best path to follow. Pete said: “We intend to gain funding through a variety of different streams. To start off with we are looking to approach community trusts and awards such as Tesco, Asda and KCC rural communities, as well as crowdfunding, events, RHS, NSG, and the town council. “Once we have completed phase one we will apply to the Heritage Lottery Fund for the major works. HLF match fund any work that has been completed beforehand, including volunteer hours. “SGS currently has six committed volunteers and nearly 250 members on the Facebook group. Since April we have racked up almost 300 volunteer hours. The Society welcomes new members who would like to help. 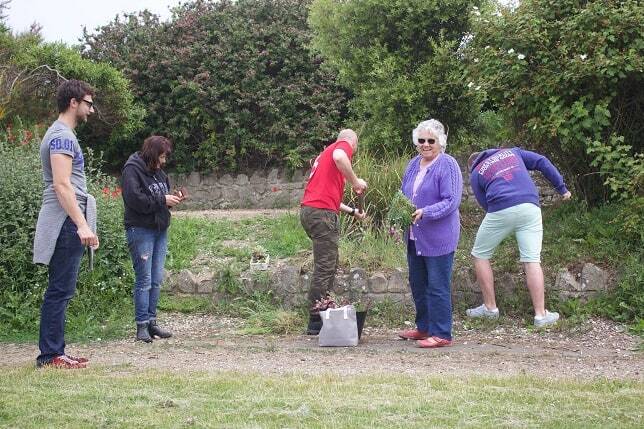 Volunteers meet every weekend to plant new growth, tidy, improve and monitor development. There is also the opportunity to learn about permaculture.